As is par for the course, the last few weeks have been extremely busy for designer, DJ, and omnipotent cultural figure Virgil Abloh. His desirable Off-White Air Force 1s surfaced in a bold new “Volt” colorway. Images of his upcoming Louis Vuitton collection began to circulate on the interwebs. His two special Halloween-themed Nike Blazers dropped to great fanfare. 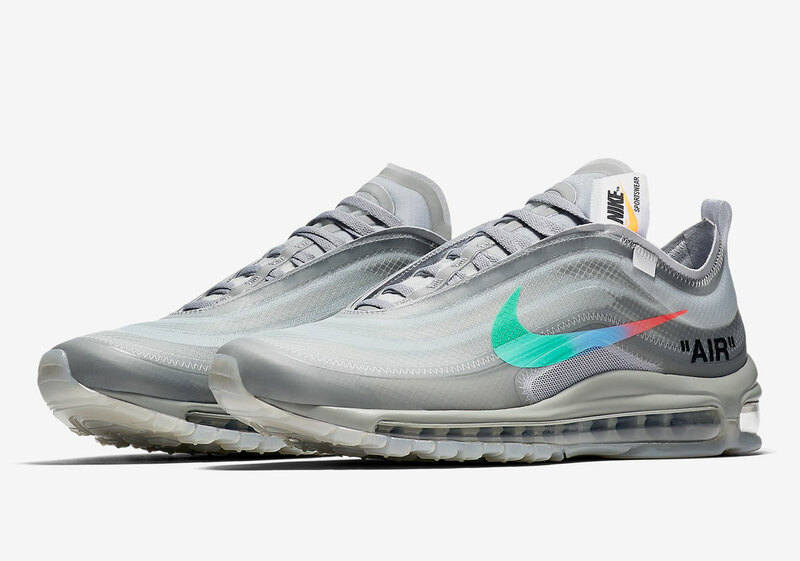 And now his highly anticipated “Menta” Air Max 97s have an official release date, courtesy of Nike. The tonal grey Air Max provide colorful detailing via a gradient swoosh — a new embellishment for Abloh’s collaborative footwear — that fades from teal to sky blue to a bright red, and also feature a translucent outsole. 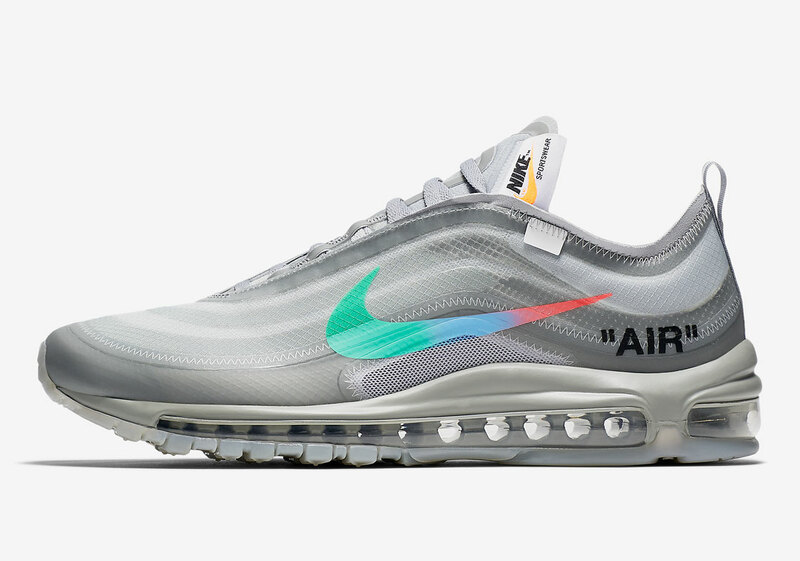 Of course, it wouldn’t really be a pair of Virgil x Nike shoes without heavy Helvetica hits, and the shoe offers those in droves, on both the lateral heel and the medial midfoot. 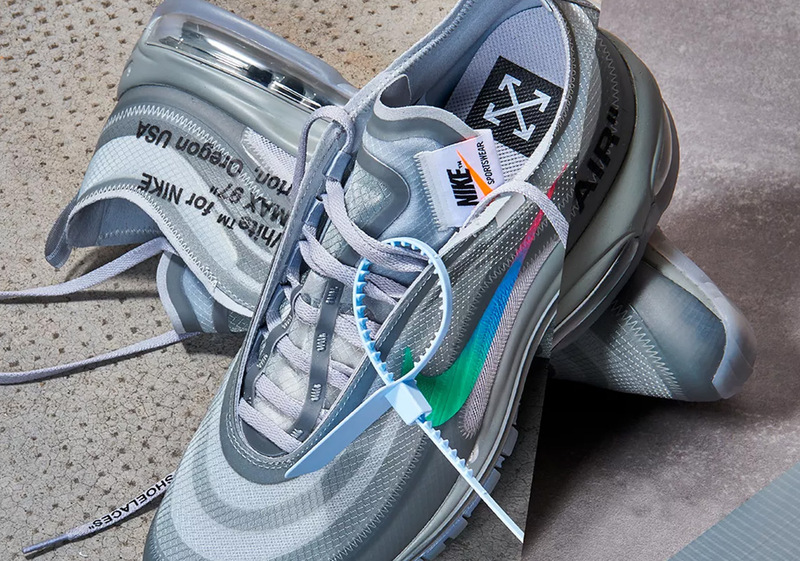 European sneakerheads will have first crack at these special Maxes, as an October 18th release date is confirmed for SNEAKRS EU sites — so stay tuned for stateside release updates as they’re available.